SWMBO heads to the zoo. 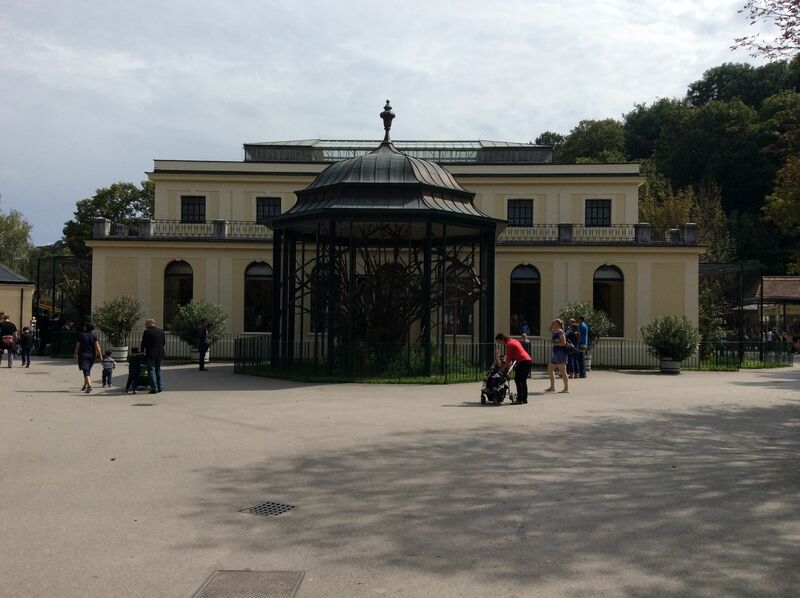 The zoo is part of the imperial palace complex of Schönbrunn, located in the suburbs of Vienna. Schönbrunn was the permanent or summer residence of the Hapsburg Kaisers from the 17th century until the early 20th century. The palace, gardens and zoo were created together in the Baroque style. 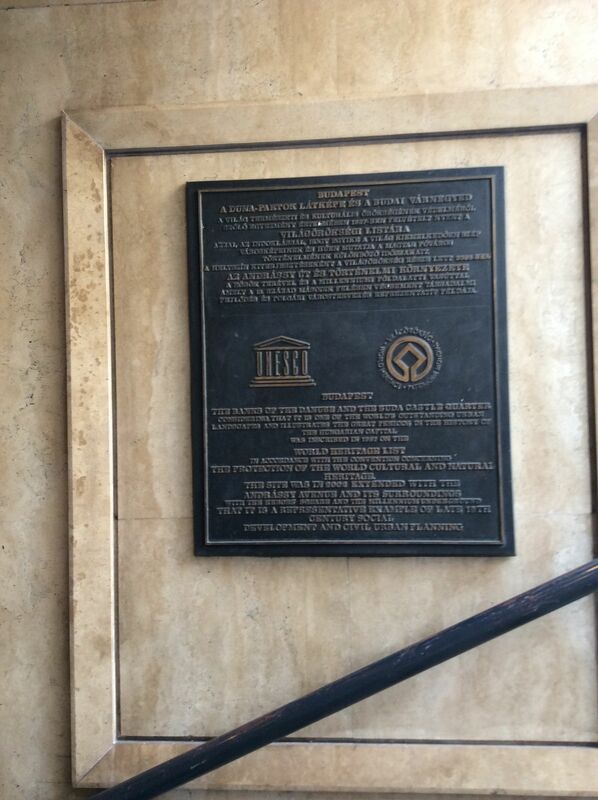 The whole is a UNESCO World Heritage Site (natch) for many reasons, but partially for its emphasis on “Gesamtkunstwerk” (seamless fusion of art forms). In other words, the whole thing is remarkably harmonious. 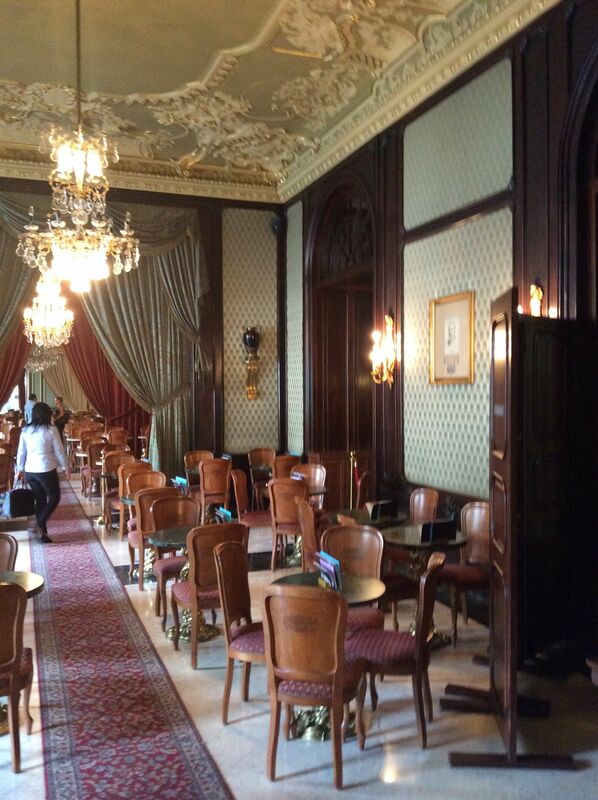 The imperial palace, itself, is magnificent but that’s another story and another admission fee. Tiergarten Schönbrunn was the very first zoo in the world (1752) but at that time it was the private “menagerie” of the Kaiser. 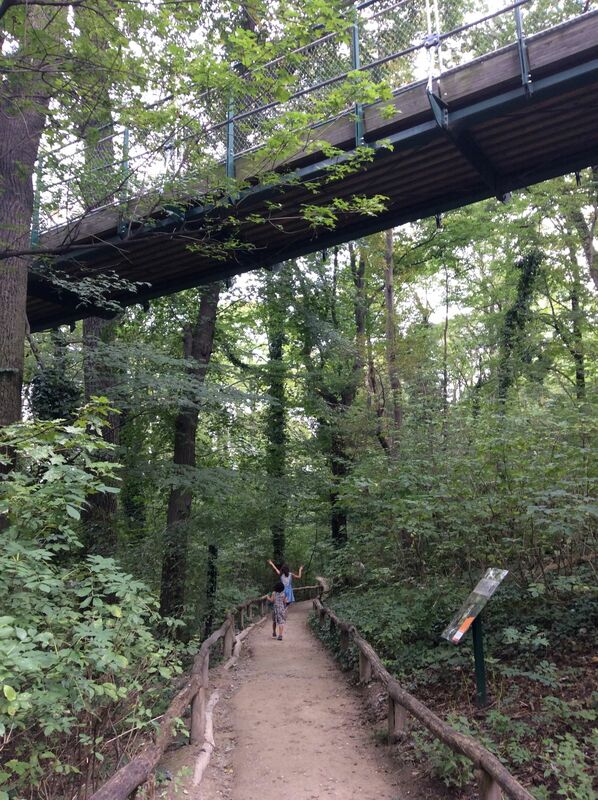 I have fully disclosed in the past that I am neither an animal person nor a zoo person but Schönbrunn is the type of place that could cause such a person to waver. 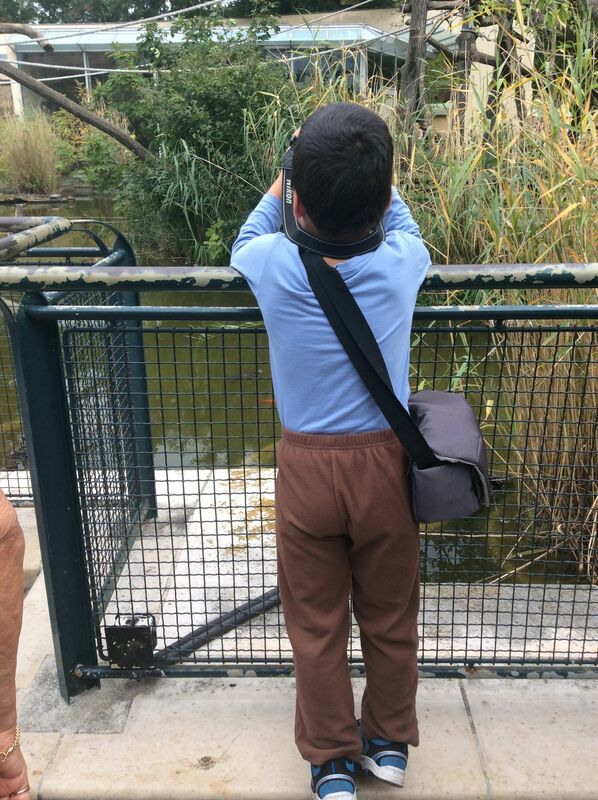 In short, the zoo is beautiful, the animals are well cared for, the enclosures are very large, the animal conservation work is impressive and the education value is high. Unfortunately, only some of the areas have information in English. One of the best is the polar bear exhibit where there is a whole mini-museum about the arctic and antarctic in both German and English. One of the interesting things you see when you enter the zoo from the parking lot entrance is a beautiful Austrian chalet. 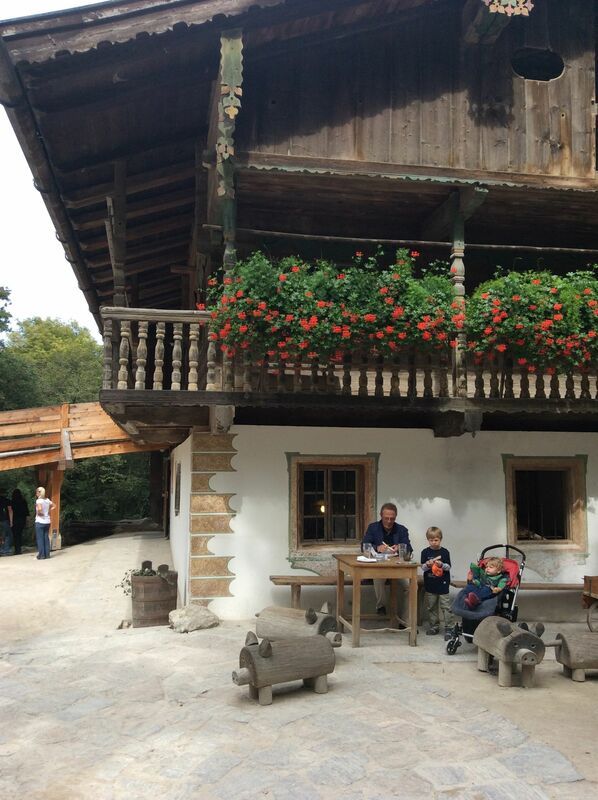 It now houses a café as well as Austrian farm breeds. 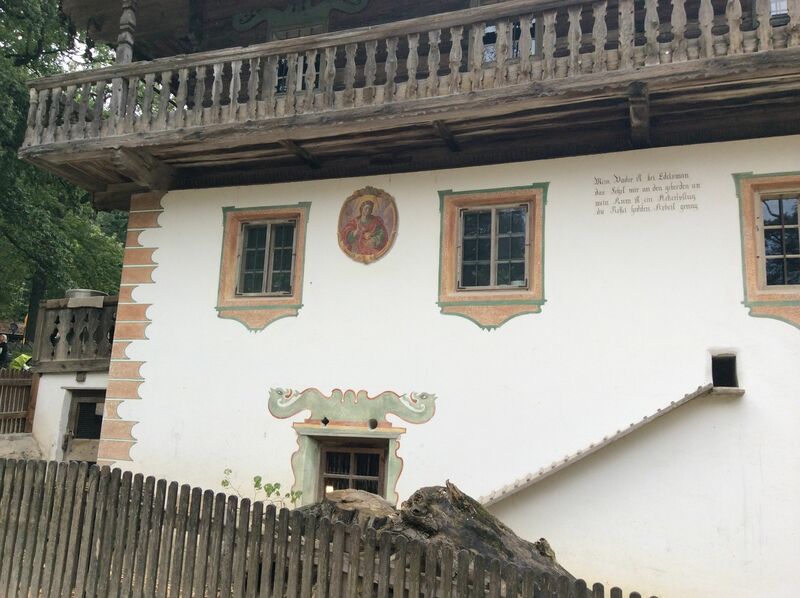 It turns out that this house was built in the Tirol mountain region of Austria in 1685. 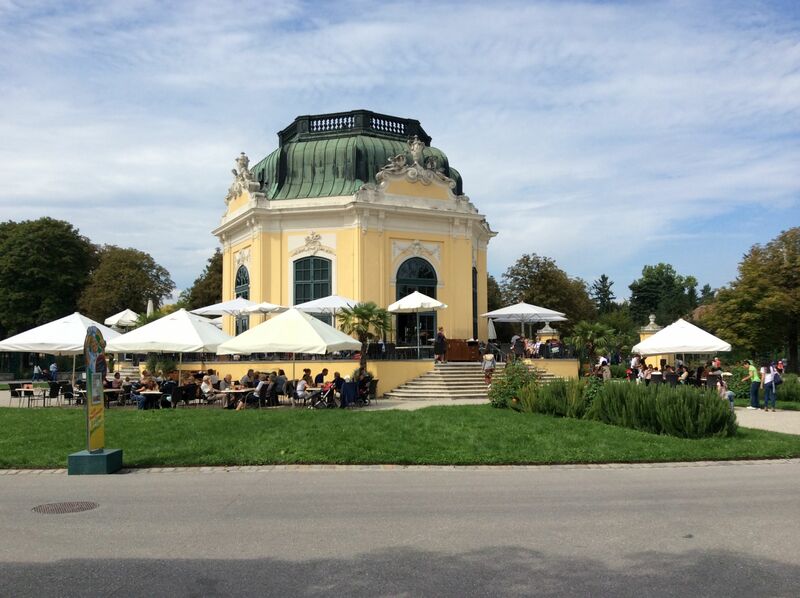 It was a typical farm house until 1993, when it was completely dismantled, transported and rebuilt in Schönbrunn. There are a lot of photos and interpretive panels regarding the history of the building and the move. The entrance fee might be steep but you certainly don’t regret paying it. The zoo grounds are so large and shaded that the zoo rarely feels crowded. The displays are innovative. For example, for many of the bird houses, you can open a door, walk through a beaded curtain and then sit on a bench right in the humungous bird cage watching the action around you. 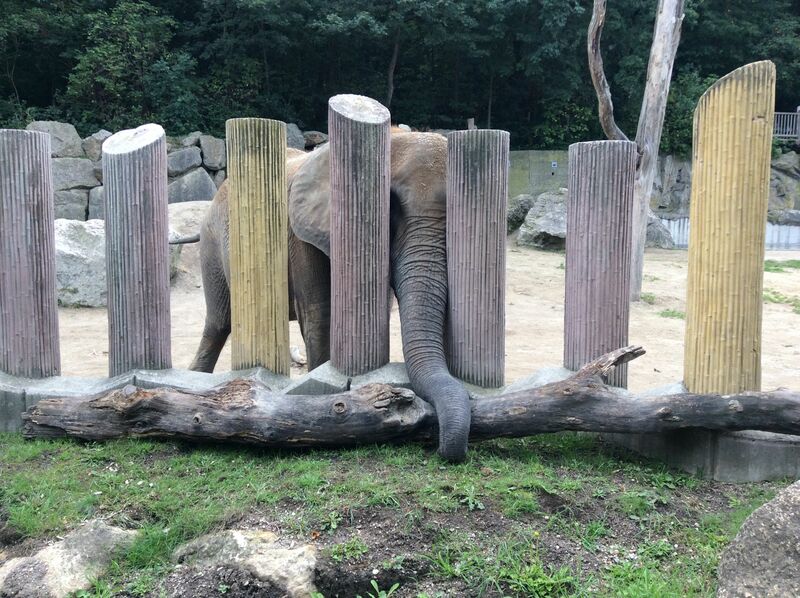 This is a good thing because many of the animal enclosures are so large that it can be hard to get a good view of the animals. If you have a camera with a telephoto lens that is one thing but if you are using an ipad or God forbid, the naked eye, good luck. Tiergarten Schönbrunn addresses this issue by posting times when you can see animals close up as they are being fed or groomed. In theory, it works but as I said, the zoo is huge and when you go to the zoo you just want to relax and stroll, you don’t want to set timers to dash from elephant washing at 2 pm to penguin feeding at 2:25 pm. 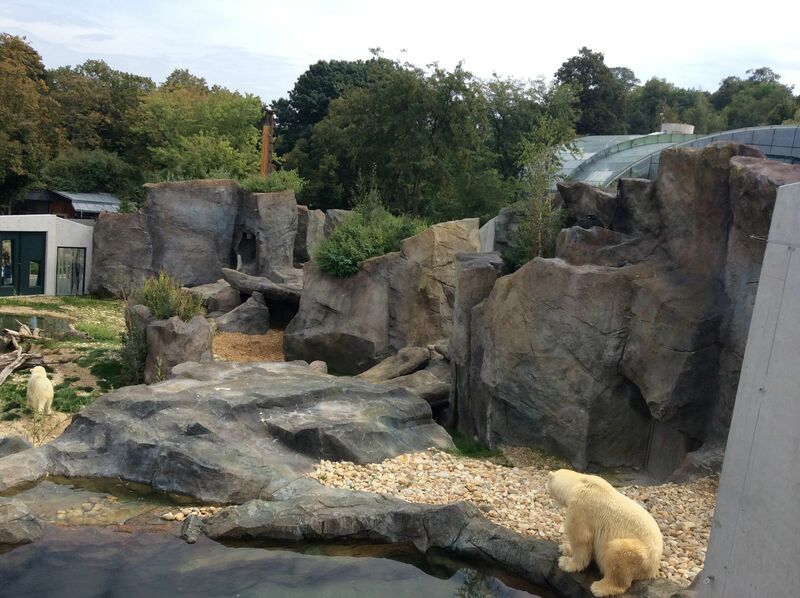 Good zoos are also remarkable places to people watch. I saw many interesting people but my favourite were a family of three passionate photographers. They would stop just about everywhere and start snapping away. Each had an expensive camera and a personal camera bag full of goodies. 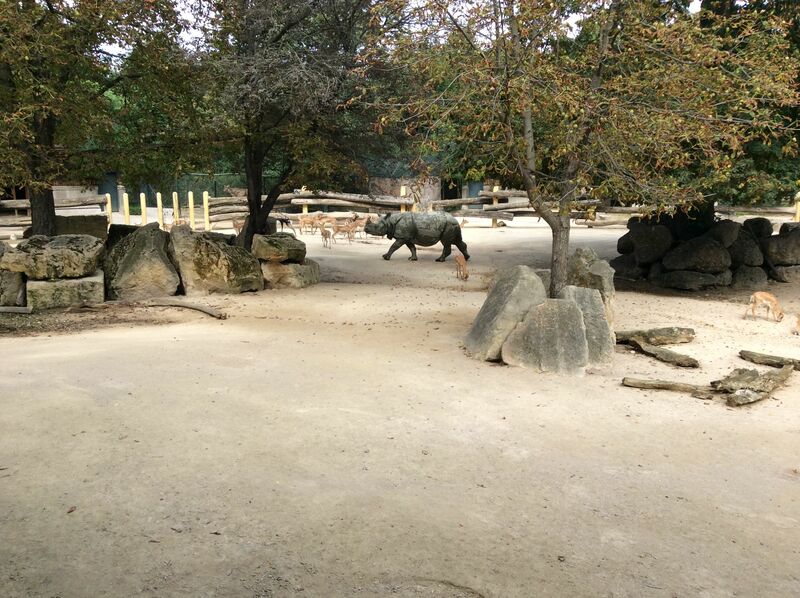 A trip to Schönbrunn Zoo is an expensive undertaking. We paid 57 euros ($85 Cdn) for 2 adults, 3 children and one free. There is so much so see and the zoo is spread over a large distance so you will want to maximize your money by arriving early and leaving late. You’ll also want to bring all your food and drink because the prices in the zoo are loco. 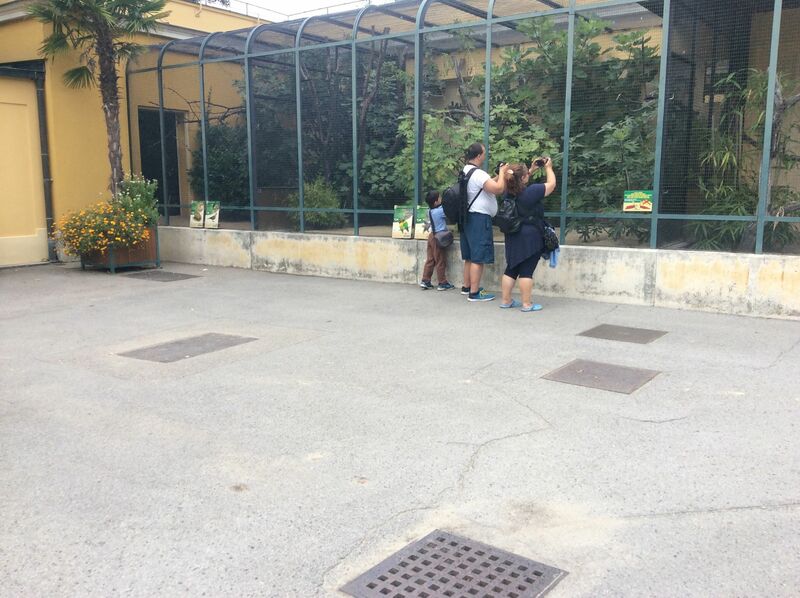 There is no family rate: adults pay 16.50 euros ($24.75), children pay 8 euros ($12) and kids under 6 are free. 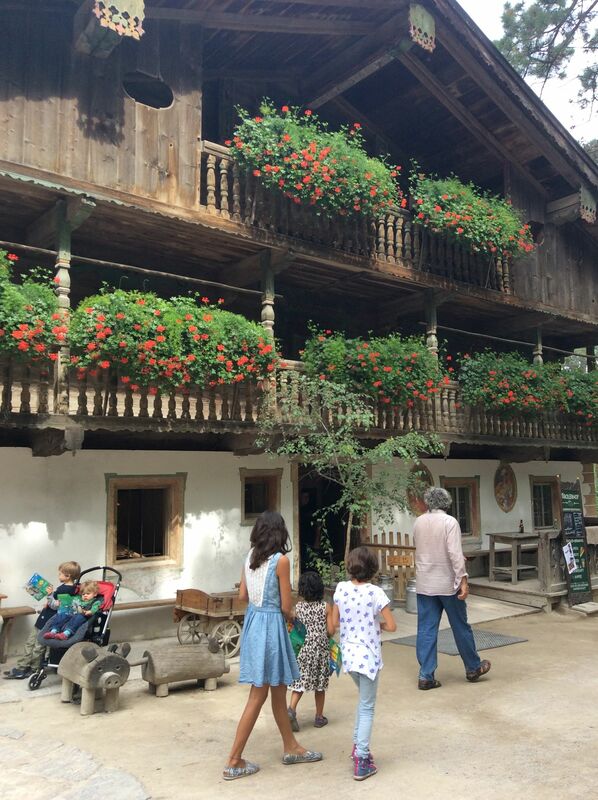 If you are staying in Vienna longer, there is a family package for 75 euros ($112.50) that covers 4 adults and 6 children and can be used over multiple visits by whomever. 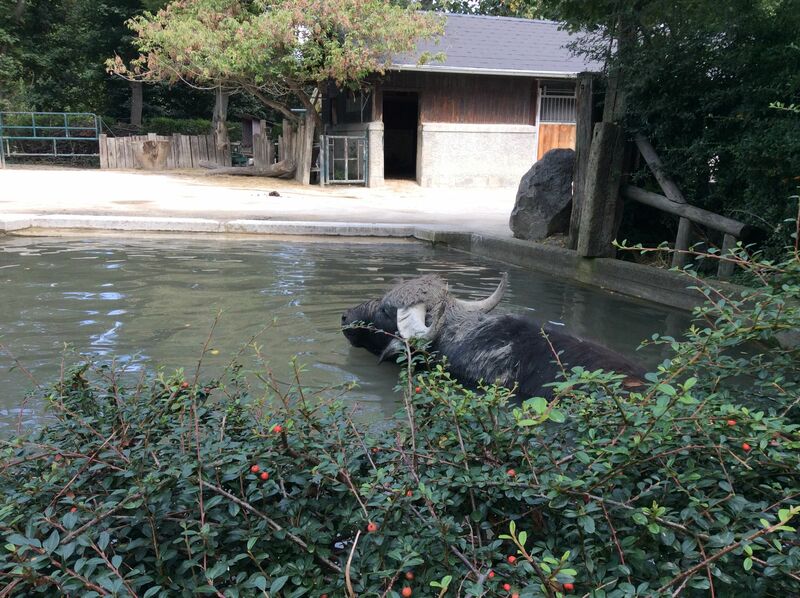 The last time we saw a water buffalo was in Vietnam and we had to ride it! Now here’s the funny thing. Funny strange, not funny ha ha. You can save 1 euro ($1.50) per ticket if you reserve online. But, you MUST print a hard copy of the reservation and bring it with you. You may be able to get on a plane these days by flashing an electronic boarding pass on your iphone but forget about getting into the zoo that way. After much chit chat with the lady at the entrance wicket about how tourists don’t usually travel with printers, she told me she would let us in if we could show her the confirmation on our ipad. It was no use explaining to her that we hadn’t risked losing 50 euros by booking online since the website was very clear that only hard copies of the reservation would be acceptable. The zoo is open every single day of the year, including holidays, so it makes a nice outing on days when there is nothing else to do. Try to pick a day with good weather because you will be outside a lot. 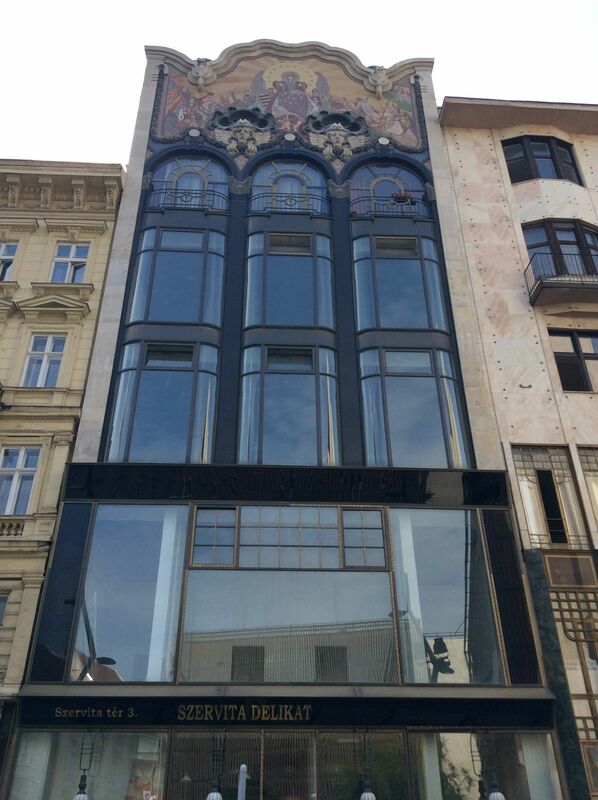 Most of downtown Budapest is a World Heritage Site and it is easy to see why. 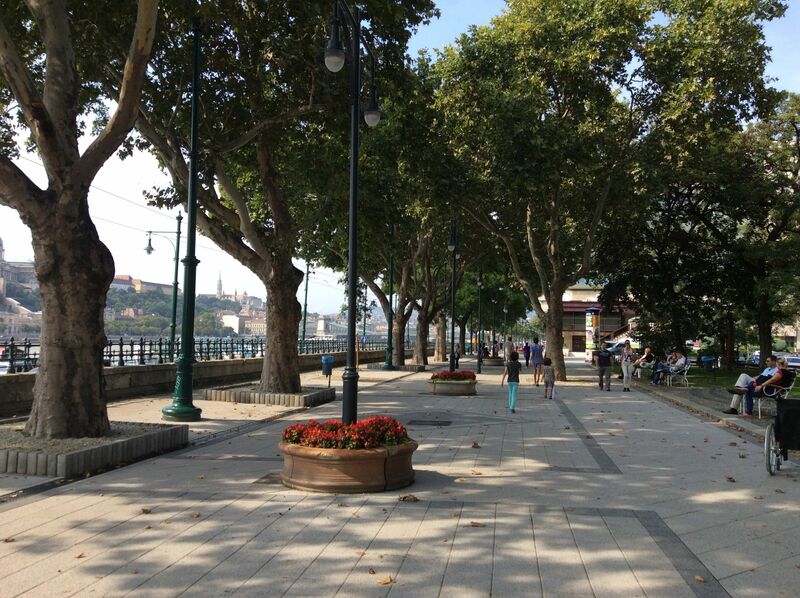 The view of the banks of the Danube and the Buda Castle area were listed as UNESCO World Heritage Sites in 1987 honouring beauty and an 800 year history. 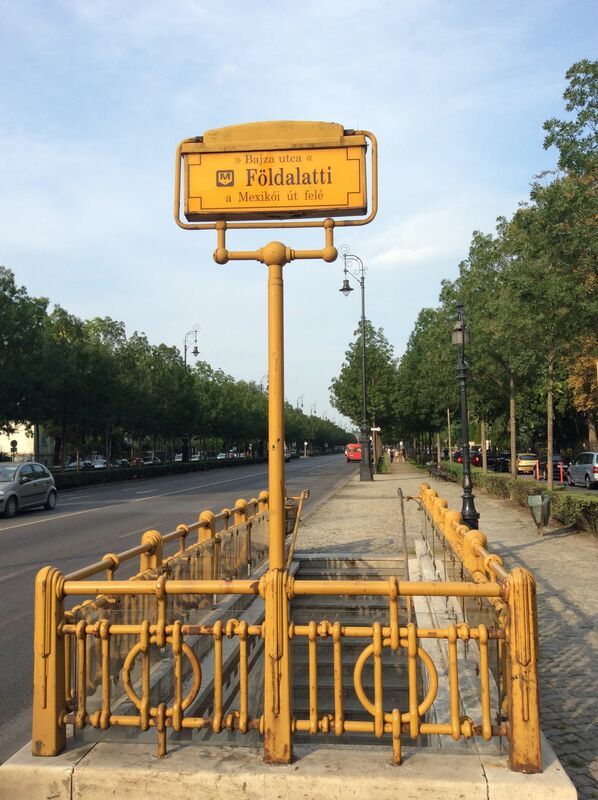 In 2002, the designation was expanded to include Andrassy Avenue, a 2 1/2 kilometre main street that runs from close to the Danube to the beautiful City Park. 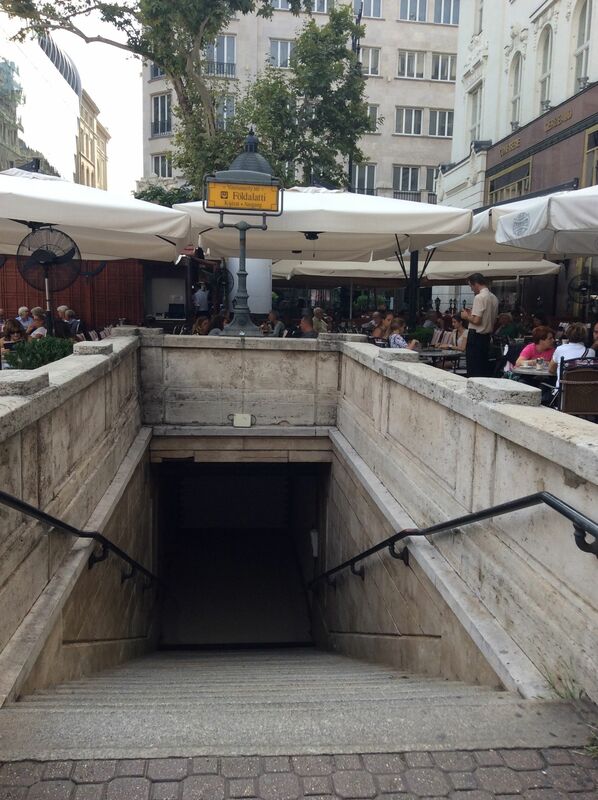 Also included were the area surrounding Andrassy, Heroes Square adjacent to City Park and the Millenium Underground. I could wander for hours, looking at individual buildings in general and architectural details in particular. 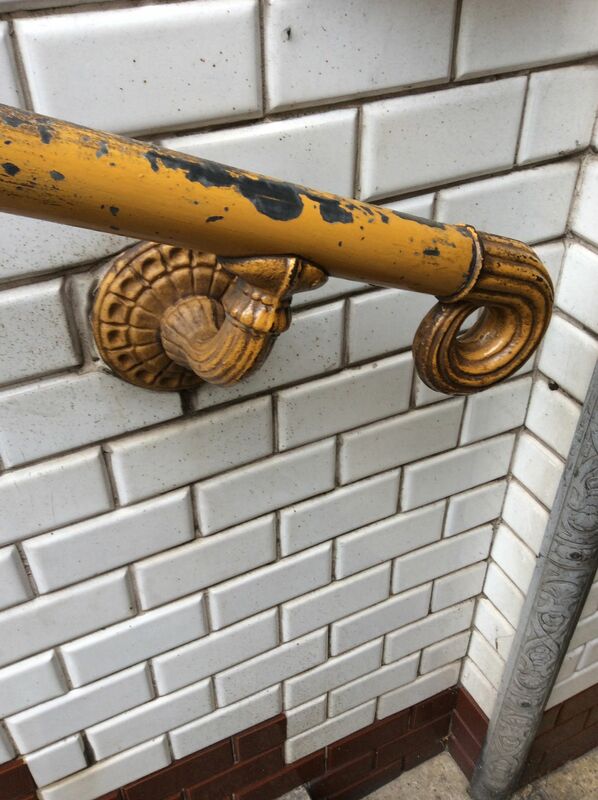 I love to stop and appreciate door knobs, railings, gargoyles, window frames, door bells and so on and so forth. It makes for slow walking but what’s the rush, after all. 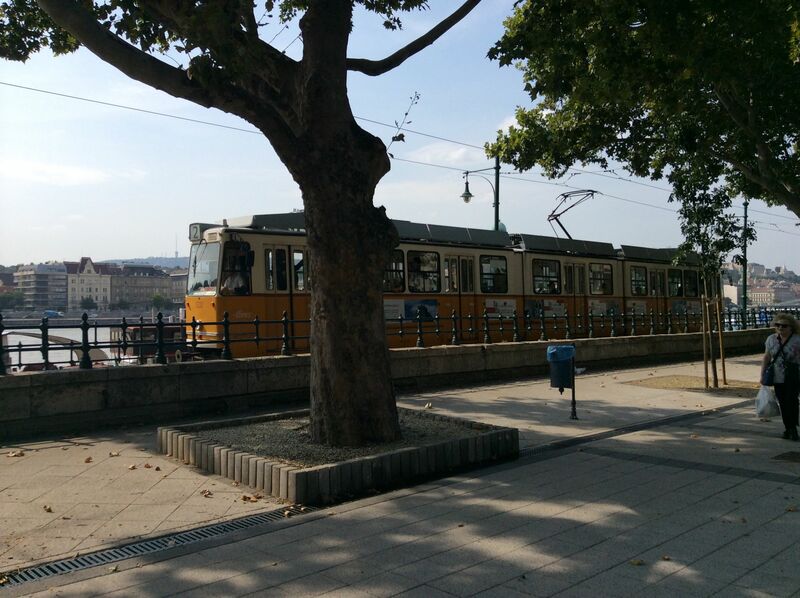 In Budapest, when you have had enough of all that walking and gawking, you don’t have to offend your eyeballs with hideous public transportation. 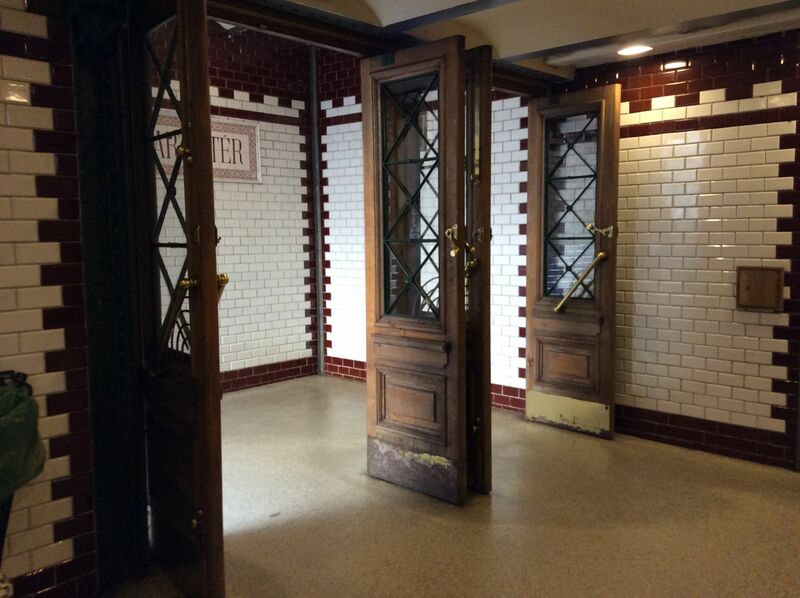 You simply head downstairs and get reinvigorated by the sweetest metro you ever did see. 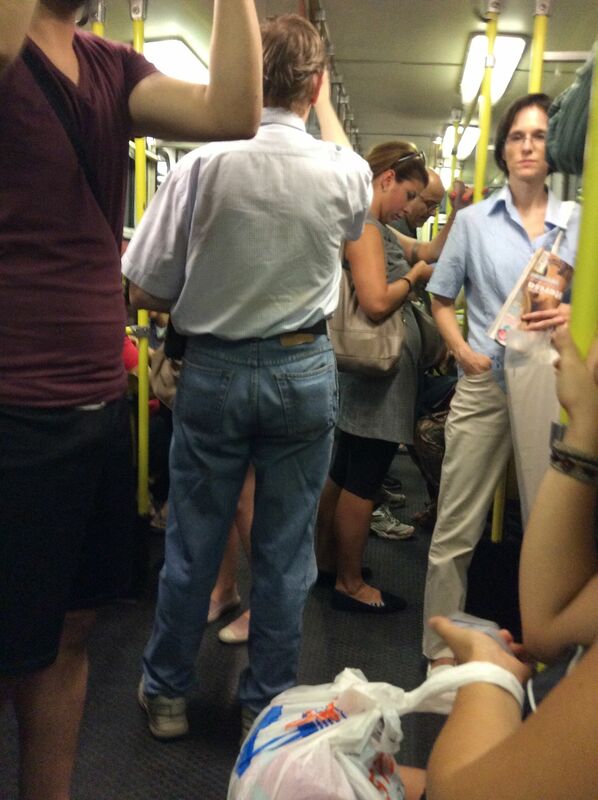 It has been transporting passengers since 1896. Believe me, they still use it. In case you’re wondering how to foster an appreciation for late 19th century social development and civil urban planning in a gaggle of kids ranging in age from 4-14, here is my advice. First, don’t overdo it. Second, don’t lecture too much – nobody wants to be droned at. 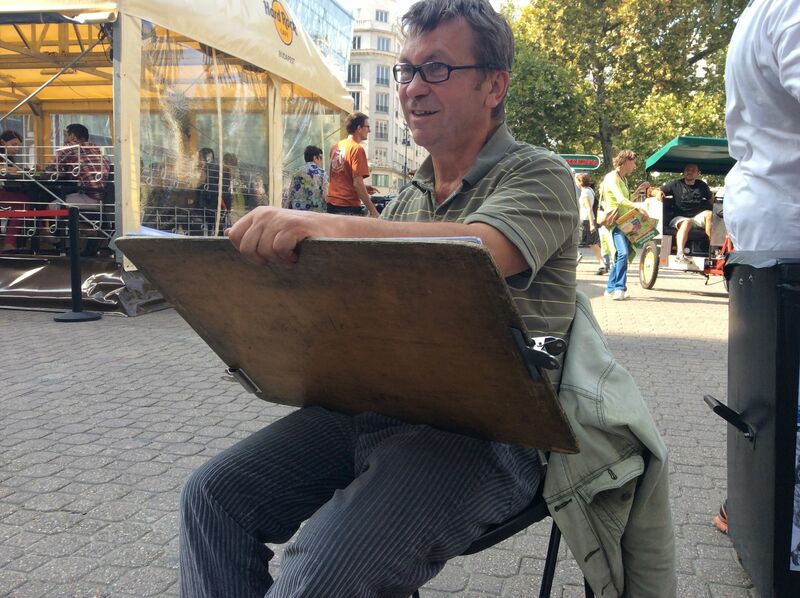 Third, break it up with something completely different (we stopped to have a family caricature portrait drawn). 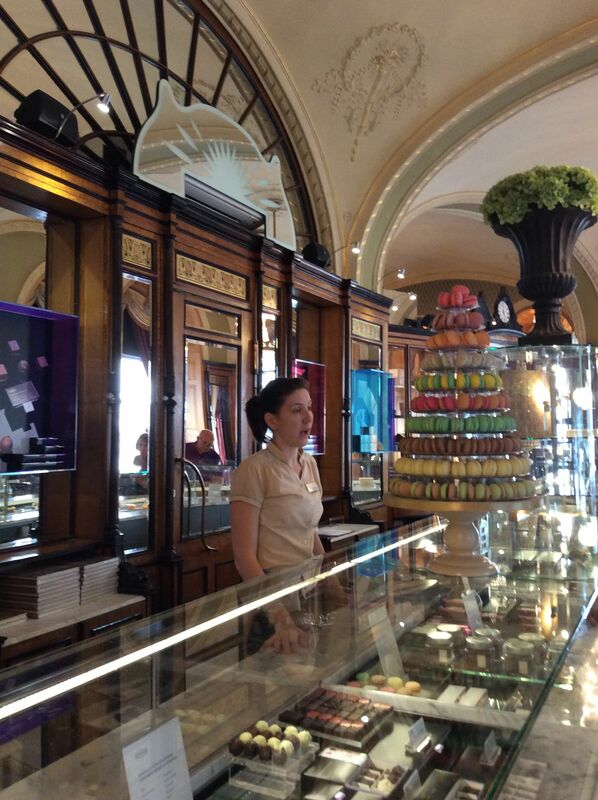 Fourth, bring history alive by making it relevant (we enjoyed a decadent chocolate cake from the iconic and historic Gerbeaud café). I’d love to hear how you make history come alive for your family! SWMBO reveals that we opted for Route #1 Variation: Montenegro, Albania, Macedonia, Greece. Yesterday we drove from Montenegro to Ohrid, Macedonia. When we got to the Albanian border, we were told that our “green card” was in order so we did not need any extra car insurance. I had been expressly told that we were not insured to drive in Albania and was given a map that showed that we could drive in every country except Albania. We decided to buy insurance and I went into the office to get it. The minimum coverage was 15 days for 49 euros ($75). When I showed the guy our car registration, he claimed that everything was okay and it would be a waste of money to buy insurance. Then he refused to sell it to me to save me money. So we leerily set off without insurance. I joked that rather than a “baby on board” sticker we should have gotten a warning triangle that read “keep well back – no insurance on board”! 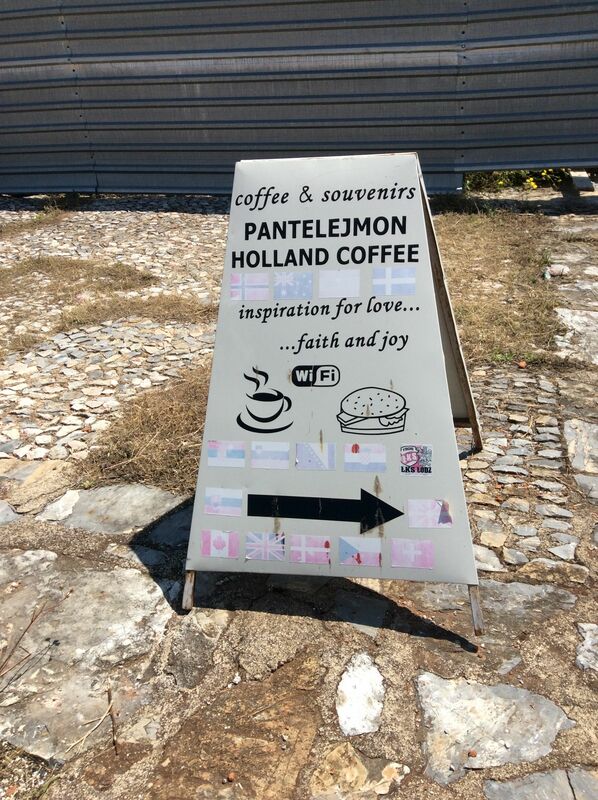 We wanted to spend as little time as possible in Albania given the risks but we did make a brief stop for a coffee and the waiter was lovely. Albania – LOVED all four hours of it! Excellent, excellent roads. Crazy drivers – some driving as fast as possible but many driving 30 kilometres/hour. Lots of cyclists not following any rules. Driving in the cities was chaotic but the actual roads were so safe with wide shoulders, guard rails, well lit tunnels. Couldn’t ask for anything better. We were SO glad that we opted for this route. 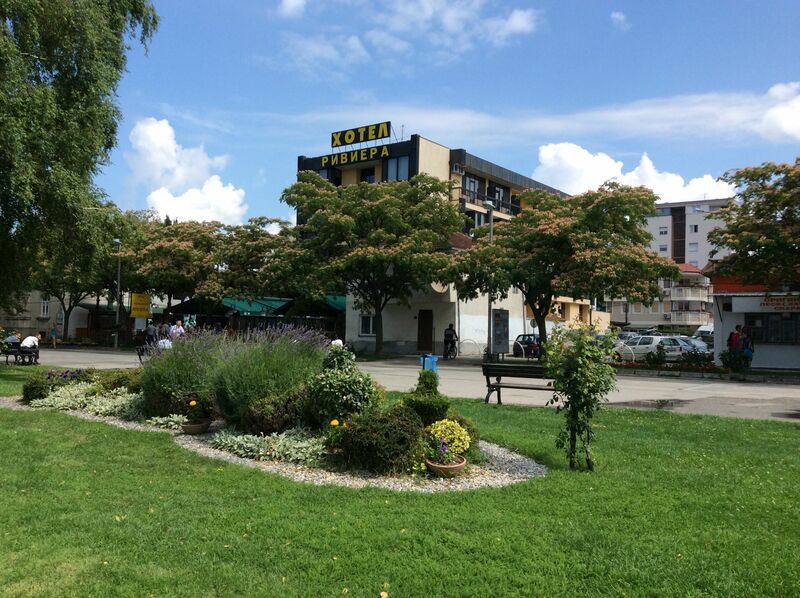 We drove through Skoder, Tirane, and Elbasan before heading inland to Lake Ohrid. We crossed the border into Macedonia (excellent, quick border crossing) and wished we could have spent a week in Albania. 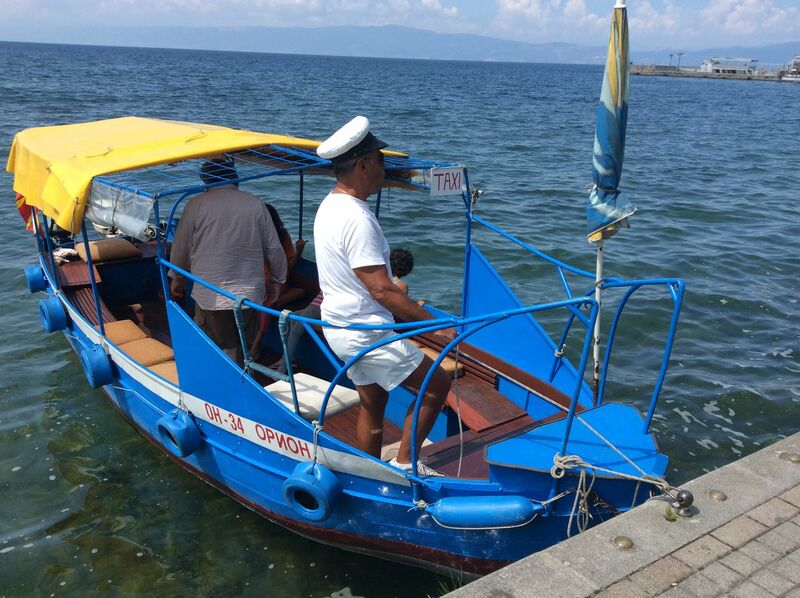 Then we drove 20 kilometres around the lake to the town of Ohrid. During this drive, we reached an altitude of 1010 metres – the highest point of our trip so far! Higher than the Pyrenees in Spain or the Alps in Austria. 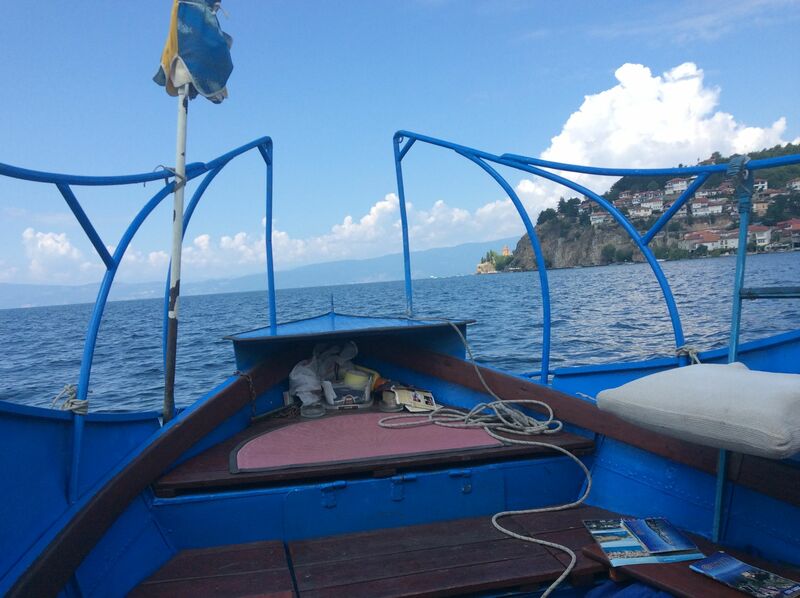 Lake Ohrid itself is located at an altitude of 700 metres above sea level and it is so serene to have such a massive lake nestled in the mountain peaks. The lake is partially in Albania and partially in Macedonia and a road runs right around the lake. 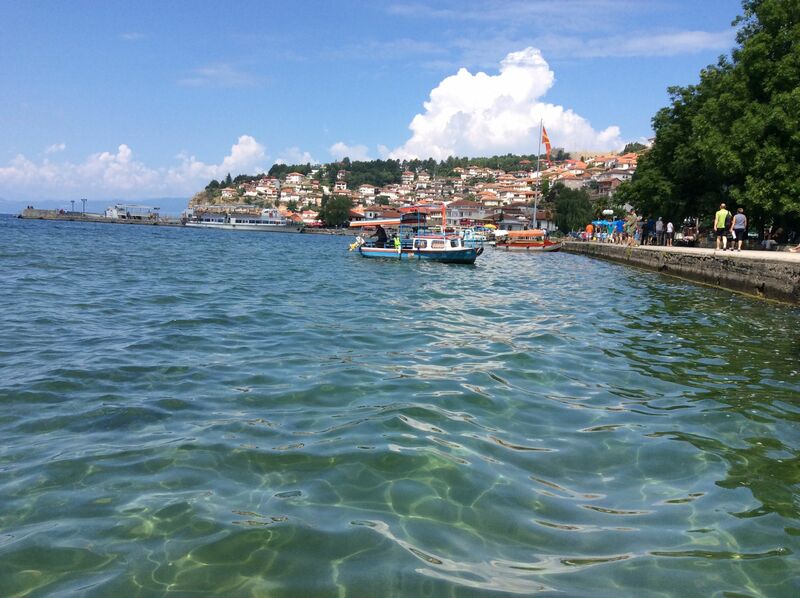 The lake shore in Ohrid town is genteel with old-style European hotels, ice cream vendors and people strolling. 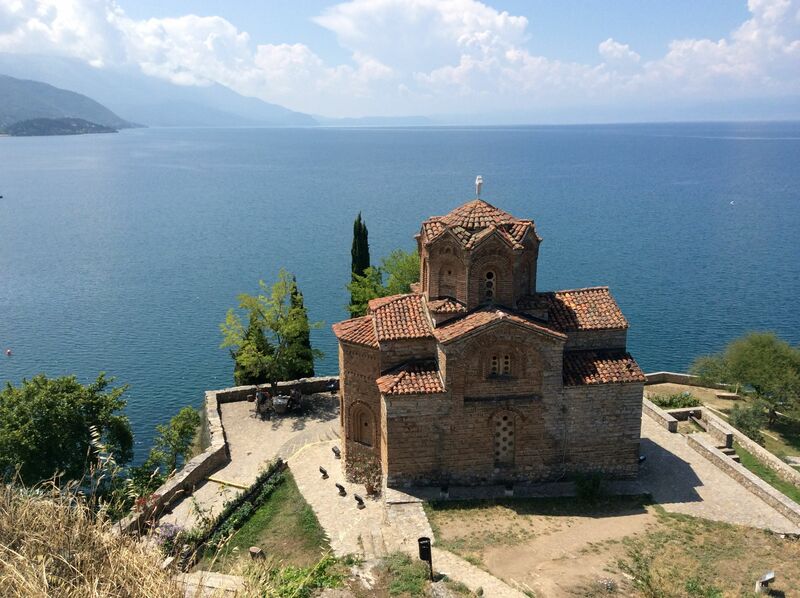 Ohrid has 365 churches – one for every day of the year. Their construction spans thousands of years. 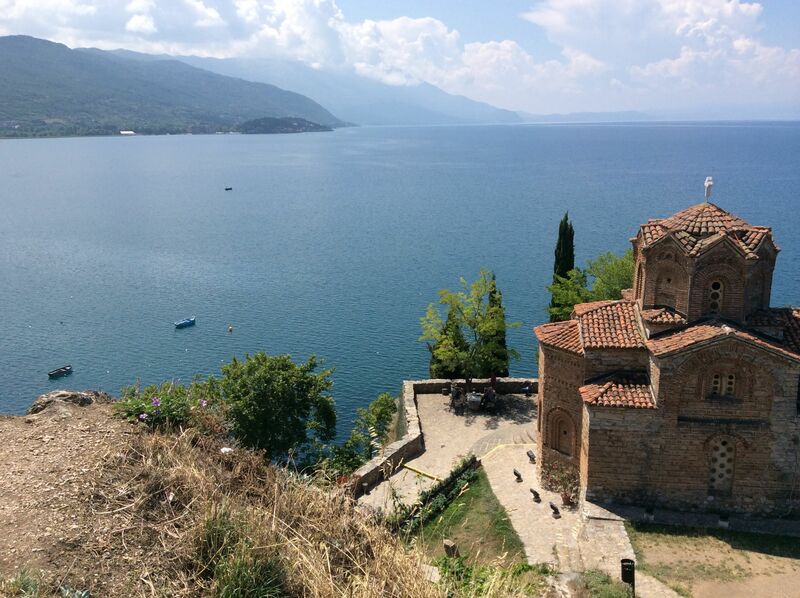 Ohrid is one of the oldest settlements in Europe with evidence of inhabitation from neolithic, hellenic, roman and early Christian times. It was taken over by Philip of Macedonia in the mid-4th century BC and then came under roman rule. It was a main city on the Roman road from Durres (Albania) to Thessaloniki (Greece) and on to Constantinople (Turkey). With the rise of Christianity, churches began to be built here in the 3rd century. Saint Clement came to live here in the late 800s and founded a monastic school. 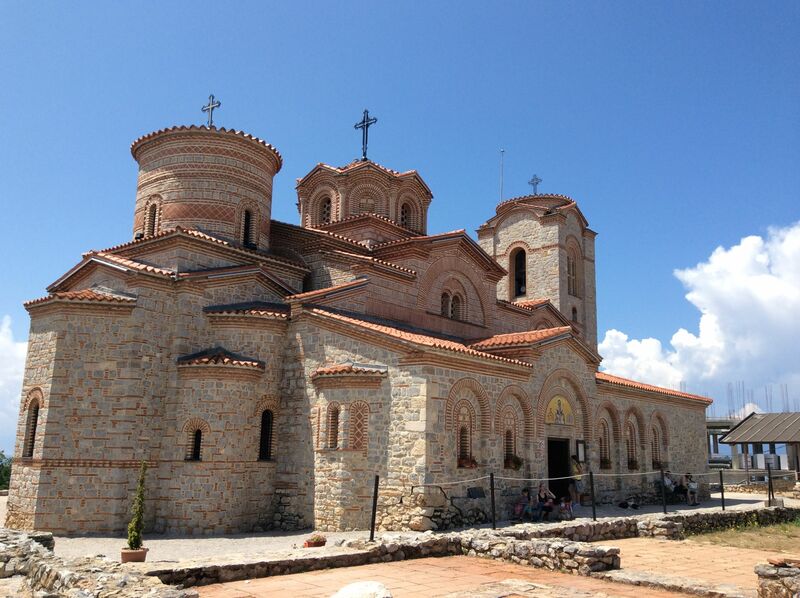 Ohrid developed into a major Christian learning centre and was mainly built between the 8th-19th centuries. Over hundreds of years, many churches and monasteries were built. 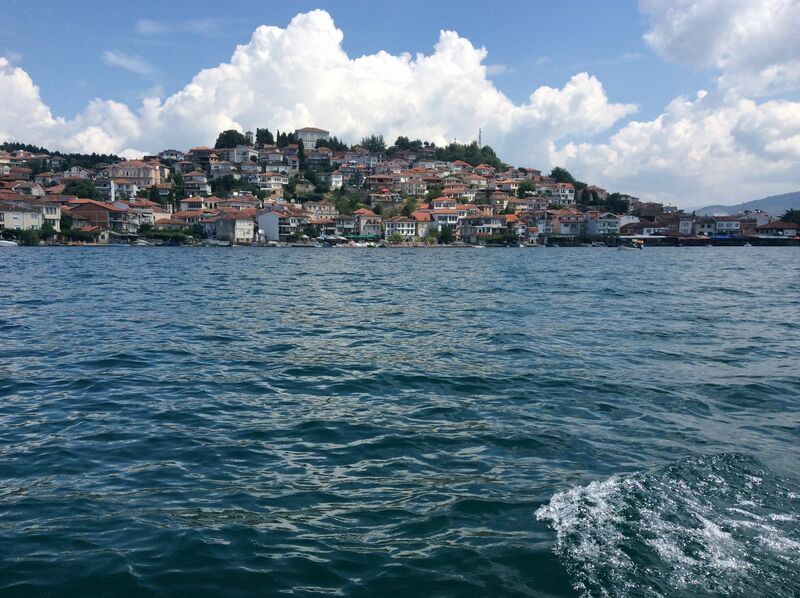 From 1395 to 1912, Ohrid was under Ottoman Turk rule and this period saw the construction of mosques in the area. 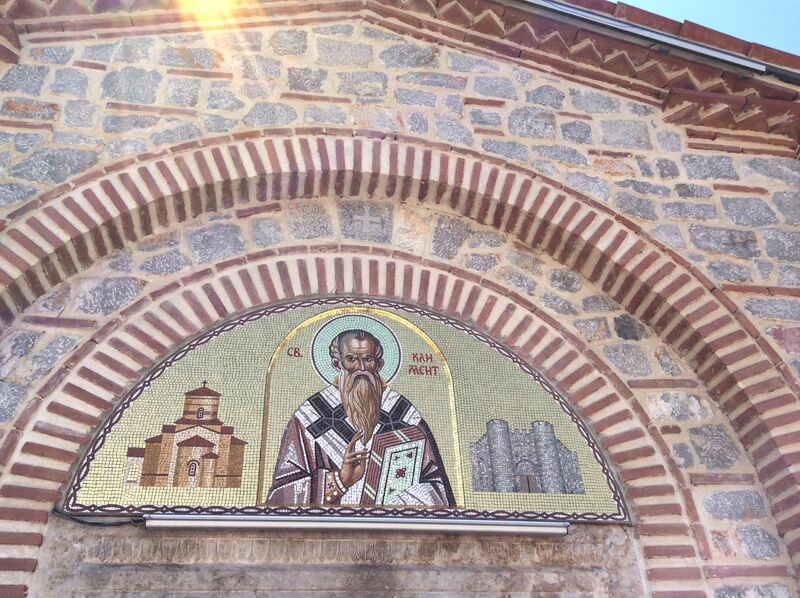 Ohrid has the second most important collection of icons in the world. It has been a UNESCO World Heritage Site since 1979. A shrine from the 4th century containing a well of “holy water” that people can drink or take to wash with. The shrine is held within a 17th century chapel restored about 25 years ago. It contained beautiful wood carvings and icons. The famous Church of St. John at Kaneo – late 13th century. Beautiful. Unfortunately nine icons were stolen from it in the 1980s. Church of St. Clement at Plaosnik. This is where St. Clement built his monastery school in the late 800s and is an important holy site. Clement was a disciple of Cyrill and Clement is crediting with developing Cyrill’s new alphabet and helping to spread the Cyrillic alphabet in this part of the world. He dug his own tomb and is interred here. At one point, it was converted to a mosque. This is an archeological site with a church newly restored in 2002. 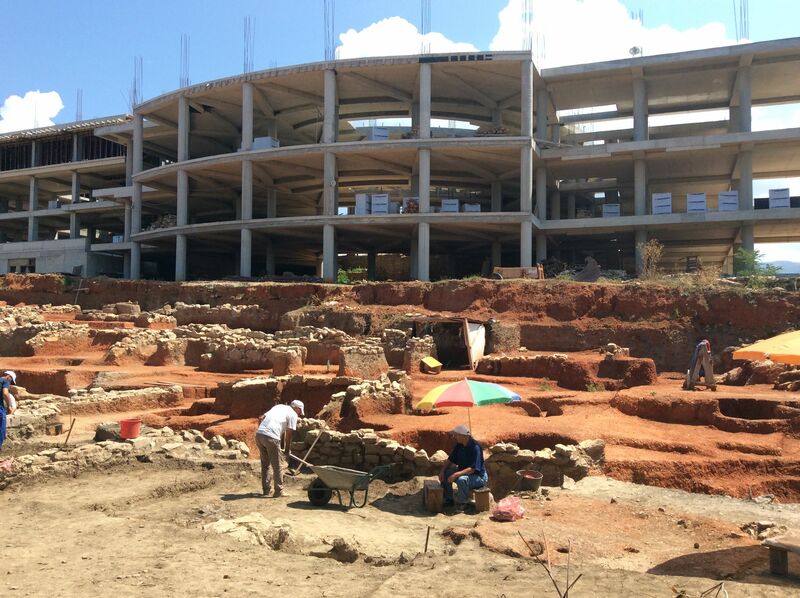 Fascinating excavation work being carried out all over the town. A two thousand year old amphitheatre still being used for outdoor concerts and shows. We enjoyed great ice cream (25 dinar/60 cents per scoop) and had a wonderful lunch of grilled meat, salad and freshly made, wood-fired pita bread. We learned that the Macedonian language is yet another variation of Serbian, Slovenian, Montenegrin, Serbian, and Bosnian. We are lost with the Cyrillic alphabet they use here but at least we can count, buy fruit and be polite. Onlyboy, not one for languages, still gets mixed-up between hvala (thank-you) and Avada Kedavra (killing curse in Harry Potter). He usually mumbles something like “hvadara” or “hkedavara”. “I kill you! Oops I mean thank-you!” I tease him by saying that he is killing them with kindness. He just rolls his eyes. Mothers. SWMBO learns that finding wifi in England and Wales is very challenging indeed. As we putter along the Shropshire Union and Llangollen canals, we pass many picturesque villages and towns. Although the landscape is rural, there is a lot of pedestrian traffic around here. The Brits love walking and this great isle is criss-crossed with footpaths. An ancient right-of-way system here means great walking. You can take your dog and your muddy boots pretty much anywhere in England and Wales and the locals sure take advantage of that. Rain or shine or rain or rain or rain, you will see people and dogs rambling along for hours on end, stopping into a pub or teashop to enjoy a meat pie or eccles cake before continuing on. Many pubs have signs like “Muddy boots and dogs welcome throughout” for those who would feel guilty. Think of t.v. documentaries of Queen Elizabeth striding through her many palaces followed by about 30 muddy dogs and you see who set the precedent. Picture postcards or pictures of postcards? The only feasible place for a non-resident to get internet access around here is in a pub promoting “free wifi”. Unfortunately, these are a bit tricky to find. Even more unfortunately, the wifi comes and goes like a Karma Chameleon. We have wifi for five minutes, then none for ten. Or we can check email but can’t load any webpages. If this is frustrating for the parents, it is unbearable for the kids. Last week I read the surprising statistic in the newspaper that 14% of British adults had never used the internet. I know it is blatant ageism but I immediately assumed the 14% would be comprised of the old folks. Now, I am starting to think that it is the rural folk who make up most of that group. Pub staff will invariably tell us that the village is in a bit of a dip and that all the villagers have the same problem and that internet is a nightmare and that the phones are just as bad. But enough about that. I only bring it up to explain why I am so behind in blog posting, emailing and paying my bills online. 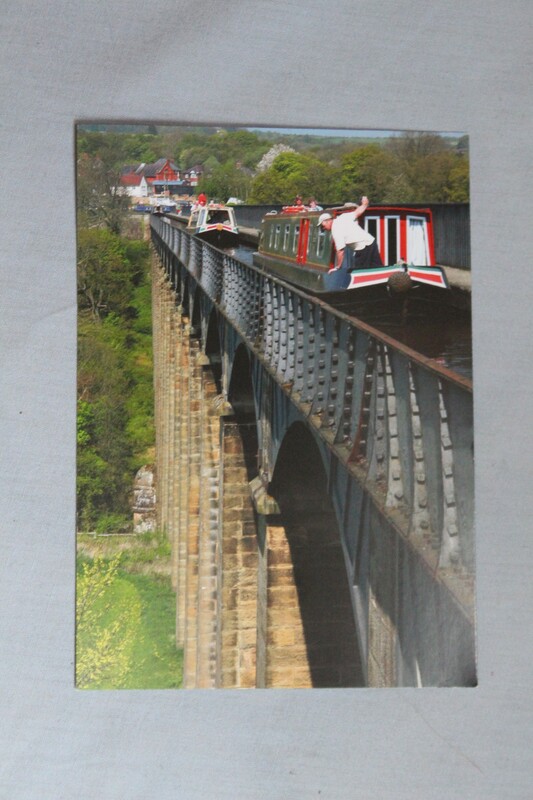 Let’s talk about something truly noteworthy instead – like the Pontcysyllte Aquaduct. What? You’ve never heard of it so how noteworthy could it really be? Well, it is yet another UNESCO World Heritage Site so you know it’s got to be pretty special. Also, it is so awe-inspiring and stressful that we don’t really have any pictures of us crossing so that gives you another clue that it offers a pretty wild ride. 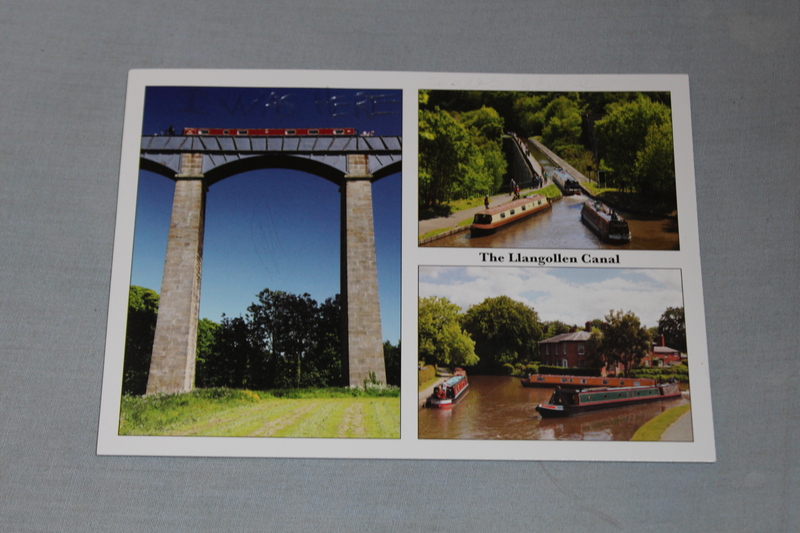 Luckily, I bought a pack of 10 postcards that show this part of the Llangollen Canal (including Pontcysyllte) and photos of the postcards will have to suffice to get my point across. If you want to see actual pictures of us crossing the aquaduct, you will have to go to Japan and look up some of the tour group members who took about 50 million pictures of us crossing the heavens in a rickety old boat. If you do, could you please ask a few of them to email some of those pictures to us? Thanks. 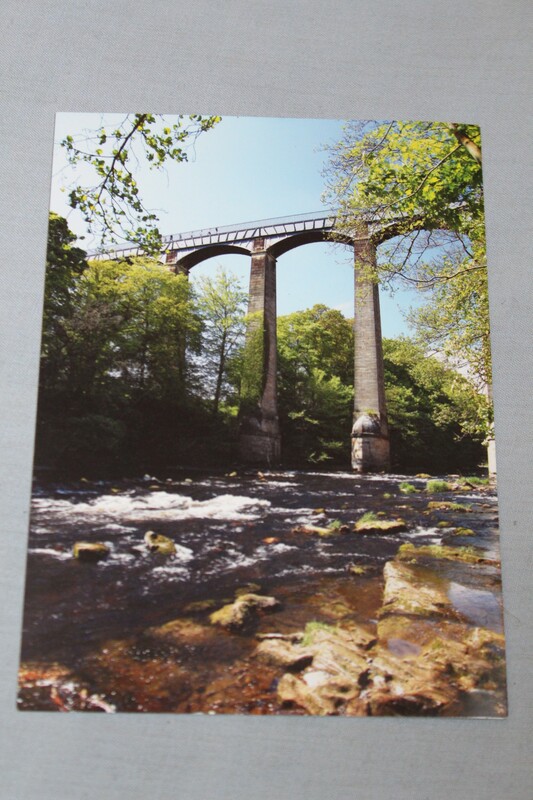 To get a better idea of how unbelievable the aquaduct is, type Pontcysyllte Aquaduct in a Google search and then select “images” up on top. Believe me, you won’t regret it. Then, digest the information that this feat of engineering was built in 1805!!! Yes, it is over 200 years old and still working just fine. Thomas Telford (engineer), you were amazing. 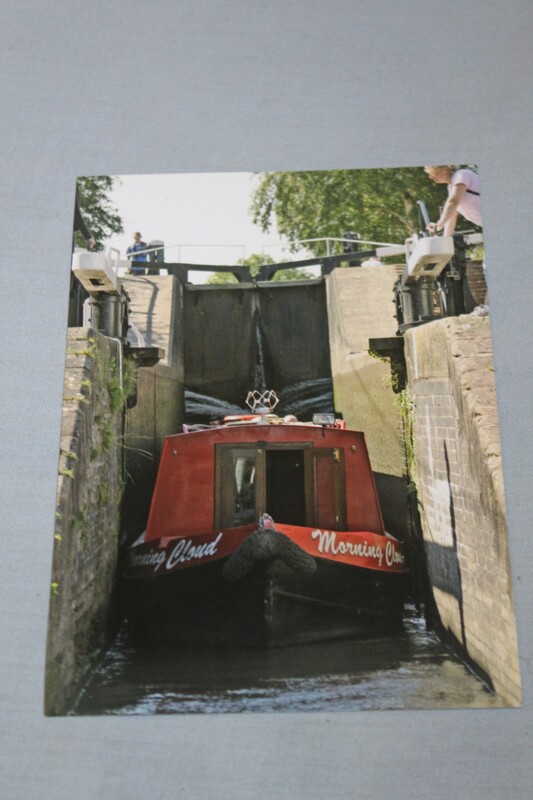 In fact, the whole canal is over 200 years old – all the bridges, all the locks, all the crazy-long, dark, spooky tunnels. Note: And as an aside, the pub that I am currently writing this in, dates from the early 1500s. Beautifully half-timbered, Shakespeare could have had a pint here (if he ever came to Shropshire which I have no idea if he ever did) so I guess it is kind of a miracle that I can sit here now and enjoy central heating and intermittent weefee. Note: I have just received an email from my mother that the REAL Amazing Race guys were also in Wales, also crossing the aquaduct! What a coincidence. I honestly had no idea! They got off easy though. They didn’t have to make fancy food in a barge galley – they only had to learn a poem in Welsh!